The Goodrich Playground Tower includes four roofed towers with deck platforms connected with bridges and challenging Net Traverse. 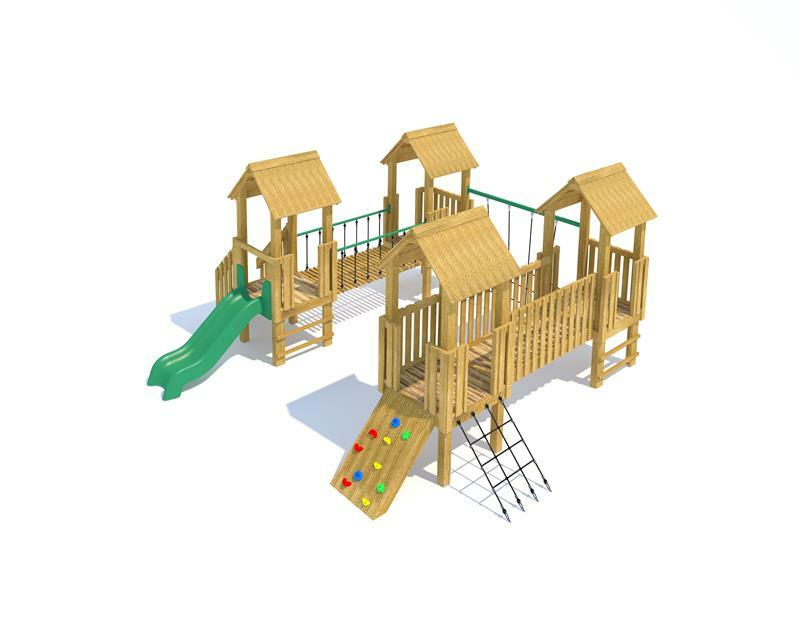 This design includes multiple entry and exit points that will develop children's overall strength, coordination, core stability and fine motor skills through grip and grasp techniques. Large enough to accommodate 25-30 children at any given time creating the perfect social hub for children to interact with each other and develop their communication, language and PSED. This particular tower is ideal for EYFS - Key Stage 1 children in playground settings that offer more space.